We have termly themes that form the basis for our school and class worship.These themes enable St Mary's to have a discussion and learn about important moral, religious and social ideas together as a whole school community. The Worship Themes build on Spiritual, Moral, Social, Cultural Development (SMSC) and also our British Values. We aim to seek out the spiritual in our learning at St Mary's. See our Class Pages for some of the ways spirituality will be explored in this term's topics. How we create an ethos in which children and adults are confident to ask for, and receive, help from others. Christians believe that Jesus was both servant and king. He demonstrated this through His life, death and resurrection. Jesus taught his disciples what it means to be truly humble. Christians believe that they can serve God by demonstrating humility through their attitudes and actions. This approach to life often runs contrary to many role-models presented to children in the media and popular culture. to encourage children to value and respect their own and other people’s belongings. The nature of God, as revealed in the Bible, expects all people to respond with respect and acknowledgement of God’s greatness, authority and involvement in the world. This extends to respect for the created order, including for every other person, who, the Bible says, is made in the image of God. Reverence takes this response a step further and will include aspects of worship such as awe and wonder, surrender and sacrifice. There are lots of interesting things to do on this term's RESPECT AND REVERENCE activity sheets. Click the image below to download your copy. Do we truly understand the concept of giving without seeking any reward? How do we encourage one another to act with generosity in both their words and action? Do we consider the importance of being generous not only with material objects but also with time. God’s generosity is best described as “grace”: to give freely without limit or conditions. This generosity, once experienced and acknowledged by an individual, can in turn release a generous spirit towards others. There are lots of interesting things to do on this term's GENEROSITY activity sheets. Click the image below to download your copy. The value for our first term of the school year is responsibility. When do we act responsibly? Where does responsibility lie for ethical issues? Do we recognise that responsibility for learning and achievement lies with each of us as individuals? How do we take responsibility for our environment? Are we given responsibility to help make decisions for our school? The Bible teaches that life is a gift from God and that it is our responsibility to use our talents and abilities in the best way we can. In what ways, as a school community, do we encourage how to show kindness and respect to one another? What are the links we have with charities for those in need and how do we support these? How do we help and encourage our pupils to understand and empathise with members of our community who have suffered traumatic experiences? There are lots of interesting things to do on this term's COMPASSION activity sheets. Click the image below to download your copy. How does our school encourage all members of the school community to be truthful in their dealings with one another? How do we help our pupils to understand that life is about a search for truth and meaning? How, as a school, we can help our children make informed moral choices? Christians believe that truth is revealed in the Bible and supremely in the person and life of Jesus Christ. Through Jesus’ teaching we are given an insight into the nature of God and the way in which He means us to live. There are lots of interesting things to do on this term's TRUTHFULNESS activity sheets. Click the image below to download your copy. How are pupils encouraged to serve one another? How are acts of service celebrated in school? Are school members encouraged to be active in service in the wider community? How do children show their appreciation to those who serve them? Jesus exemplified in person, in his ministry and in his relationship with God, what is was to be called the “servant king”. Christians believe that their calling is to follow Jesus’ example according to their gifts or abilities. They believe that through serving God in others, “perfect freedom” will ultimately be found. There are lots of interesting things to do on this term's SERVICE activity sheets. Click the image below to download your copy. How does St Mary's make children aware of global justice issues? What strategies are in place to ensure that rules and procedures in school are fair and just? A Christian perspective on Justice: The justice revealed in the Bible is always seen in the context of love. It includes the call to take responsibility for one another, especially the poor and oppressed, and to see that no-one is excluded from the essentials of life. There are lots of interesting things to do on this term's JUSTICE activity sheets. Click the image below to download your copy. Friendship is always an important aspect of life at St Mary's - after all, our motto is 'working together'! This term we have chosen to make 'Friendship' our worship theme. There are lots of interesting things to do on this term's FRIENDSHIP activity sheets. Click the image below to download your copy. This term, our theme of Tolerance leads us to focus on the social development aspect of SMSC, and the British value of 'mutual respect', as we learn how to demonstrate tolerance and respect to other people, their beliefs and opinions. We all live with the objective of being happy: our lives are all different and yet the same. What was it about the differences in others that scared some people so much? What exactly was the difference? he wondered to himself. And who decided which people wore the striped pyjamas and which people wore the uniforms? This planet is for everyone, borders are for no one. It’s all about freedom. Any problem can be solved between people if only they can trust each other. The value hope is about much more than just wishing as hard as we can that things will be different. It is about believing that the world can be better and being prepared to do something! Noah (in the story on the activity sheets) was willing to look silly in front of his neighbours by building a huge boat even though he lived miles from the ocean, because he hoped and believed that God had a plan. There are lots of interesting things to do on this term's HOPE activity sheets. Click the image below to download your copy. As a school we will be looking at how we can encourage ourselves to appreciate quietness, to find opportunities for calm reflection and to experience different kinds of peace. We are also looking at how we can solve our differences in a constructive way, and to develop the skills of a peacemaker. From a Christian perspective, we are introducing the concept “peace with God” – as Jesus said, “Blessed are the peacemakers, for they shall be called children of God.” (Matthew 5:9). This term we will be focusing on the value Thankfulness. We will be encouraging the children to be appreciative and have a thankful attitude for things we often take for granted. Please find attached the Home School Values sheet with ideas for you to share with your children at home. A Christian perspective on Thankfulness: Christians believe that God loves and cares for them in many different ways in all aspects of their life. They know that their response to this provision should be one of thankfulness and praise. Our Value for this term is Courage. We will be looking at the Christian perspective on Courage, the claim that God is always present in every situation. This belief has led to great acts of courage that have included facing danger and opposition, overcoming fear, making a stand for what is right and encouraging others to persevere. This term our Collective Worship value is Forgiveness. We will be looking at how Forgiveness is the means by which damaged relationships are restored. As a whole school community we will be looking at how adults and children are helped to acknowledge that we all make mistakes and we all need forgiveness from God and each other. Also, how do we make amends for our mistakes and how does the school celebrate the idea that God’s love is so treat that forgiveness is always possible? Try our activity sheets here! This term our Collective Worship value is Trust. We will be looking at the Christian perspective on Trust, being the bases of all stable relationships. Also reflecting as a whole school community on how we show children in practical ways what it means to have trust in others, how we can demonstrate sensitively the repercussions when trust is broken and how role models can show us different kinds of trust that work in our school community and the wider world. Try our Trust activities at home here! Try our Wisdom activities at home here! Try our Humility activities at home here! 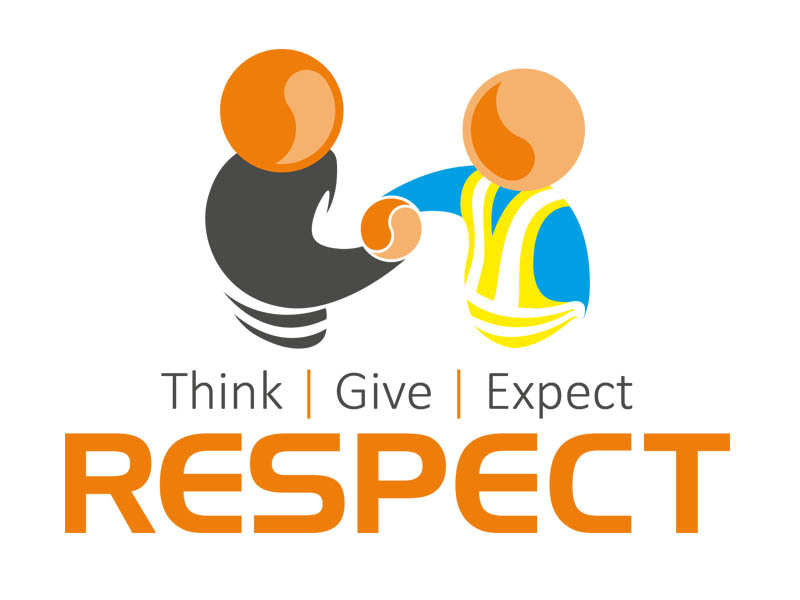 Try our Respect activities at home here! Try our Generosity activities at home here! Becoming responsible means being a person who can be trusted to do their best. Being responsible means being prepared to stand up for others. An irresponsible person acts in a way that hurts others, doesn't care about their feelings, and just does what pleases them. 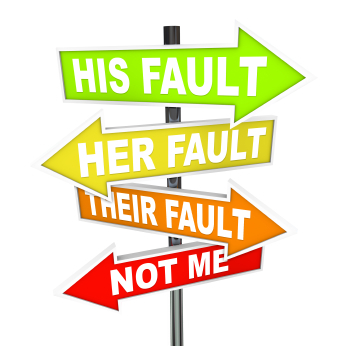 An irresponsible person refuses to face up to the damage or hurt that he or she may cause. Responsibility is thinking about what's best for everyone, not just what suits one individual. 1. God gives human beings the responsibility of caring for the world and of naming the animals - see Genesis 2:4-20. 2. The story of Cain and Abel - see Genesis 4:1-16. 3. Jethro advises Moses to share the heavy responsibility of leadership - see Exodus 18:13-27. 4. Moses hands over his responsibilities to Joshua - see Deuteronomy 31:1-8. 6. The church at Antioch gives Barnabas and Saul the responsibility of being missionaries - see Acts 13: 1-3; and they report back on a job well done in Acts 14: 27. 7.God gives human beings a job to do - see Psalm 8:5-9. This term we are exploring what living our lives with compassion means. Talk at home about the 'Footprints' poem and the Bible passages below. Can you decide what they each teach us about 'compassion'? In each, I noticed footprints in the sand. other times there was only one. that you would walk with me always. Why, when I have needed you most would you leave me?" When you'll see only one. Find these bible passages - what do they teach us about 'compassion'? Baby in the Bulrushes: Exodus Chapter 1, verse 2. David spares Saul: 1 Samuel Chapter 23, verse 24. The Good Samaritan: Luke Chapter 10. This term we are exploring what truthfulness means. Do you agree with these ideas? It takes courage to be honest. It's much easier to exaggerate, pretend and put on a false front in order to be liked and respected. Telling lies can help get someone out of difficult situations. If we use lies, the truth often comes out in the end and then the fall-out can be terrible. People respect those who are truthful. I don't mind people lying to me. An honest friend will tell the truth and this builds up the friendship. Can you find these Bible verses? What do they teach us about truthfulness? 1) 'Do not tell lies about others' (Exodus 20:16). 2) 'It is better to be honest and poor than dishonest and rich.' (Proverbs 16:8). This term we are exploring what it means to serve others. Talk at home about what you or your family members would do in each of the following situations. You are on your way to a football game. You are in a hurry, but as you walk down the street to the playing field you see an elderly woman drop a bag of groceries. What do you do? You have been at a friend’s house playing. You are very tired. As you walk into your garden, you see your dad hard at work with the gardening. What do you do? You come into the kitchen to get a drink and you see your brother washing the dinner dishes. What do you do? You are walking home with some friends. You see that a dog has knocked over a rubbish bin in front of a neighbour’s house and has scattered the rubbish around. The neighbour is away and won’t be back for a few days. What do you do? You see a new girl in school and introduce yourself. The new girl asks you where you eat lunch. You had planned to eat lunch with your friends. What do you do? Have you seen the challenge at the bottom of the page? You can find out more about Nelson Mandela in this Newsround video. Diversity means how things vary or are different. Just as there are lots of different designs of cars, bikes, washing machines, balls - or just about anything you can think of - so there is diversity among people. in fact, each one of the billions of people in the world is quite unique! Do they all look alike, sound alike, have the same skills and talents, share the same interests? And the great thing about diversity is that it makes the world such an interesting place to be, because diversity fills it with interesting, different people. How good is that? And how boring if everything and everyone was the same! ... what these people did to change how people are treated? TIP: You can find out here (this is a page on the BBC News website). TIP: You can find out here (this is a page on the BBC Newsround website). Please note: the school cannot be responsible for any other website's content.